Tweet By Dave. 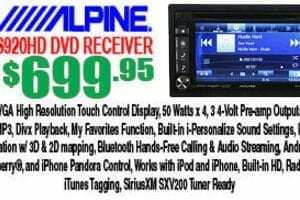 We have a supped up receiver at Sounds Good To Me that has it all, the Alpine INE-S920HD DVD Receiver, now available in Tempe Arizona near Phoenix, AZ at our auto electronics store, now on sale for $699.95. Copyright © 2019 Sounds Good To Me Sounds Good To Me car audio and security systems in Tempe, AZ, 85282, All rights reserved. Phone: (480) 968-8543. Located near Phoenix, Arizona we are car audio installation specialists. We have been installing the best in vehicle audio electronics, car alarm systems and stereo speakers for 30 years. Our car tinting specialists can tint your ride and keep you cool in the Arizona heat. We are also the original home of the lifetime guarantee install. 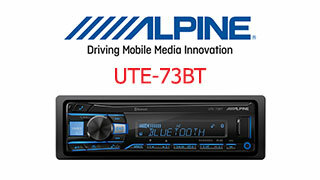 We will gladly install your vehicle’s audio and video equipment to achieve your custom look and sound. Are you are student at Arizona State University and have a valid ASU or other student ID? Come on down and ask about our student discount offers. Website developed and maintained by Creative Developments Web Design and SEO Marketing located in Tempe, Arizona.